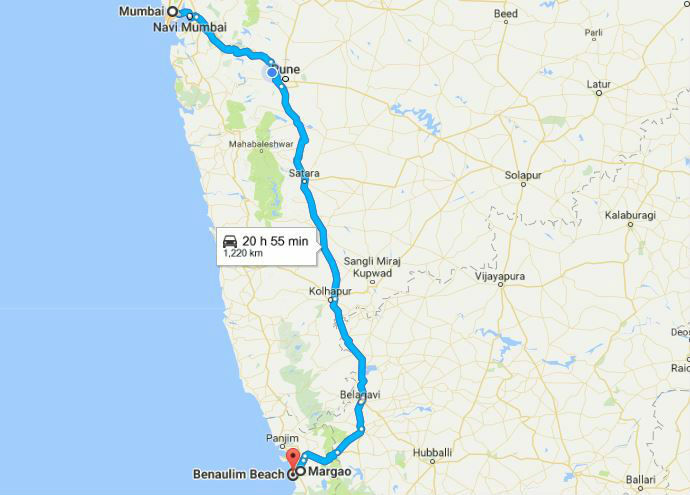 Should I travel to North Goa or South Goa? A question that has been pondered over by countless numbers of tourists that have traveled to this tropical state in India. Ask any of the North or South Goans this question, and you’ll easily be able to pick up on the feud that doesn’t seem to have an end! For me, both places have their own charm, but on this specific trip, I have to give the gold medal to South Goa. Serene beaches, delicious food, scenic drives, and spectacular mountains view what more could you want? If you want a break from overpacked beaches and drunken strangers falling out of bars on the streets, this part of Goa is for you. Goa has developed rail routes that easily connect the city with other cities. The two major railheads in Goa are Madgaon and Vasco-da-Gama. Several trains run daily from Mumbai to Goa along the Konkan Railway; most of these take 10 to 12 hours. Madgaon station lies at the heart of South Goa and the closest beach is Benaulim which is 5 km away. For train bookings visit IRCTC. Note: Goa has an airport (Dabolim) situated roughly in the middle of the state. The train network isn’t really convenient for getting around Goa. Local bus transport is good but you need to familiar with the routes as you have to change few to reach a destination. Being most popular tourist spot, there are many taxi options but rates are exorbitantly high. Hiring Scooty/motorcycles (approx. 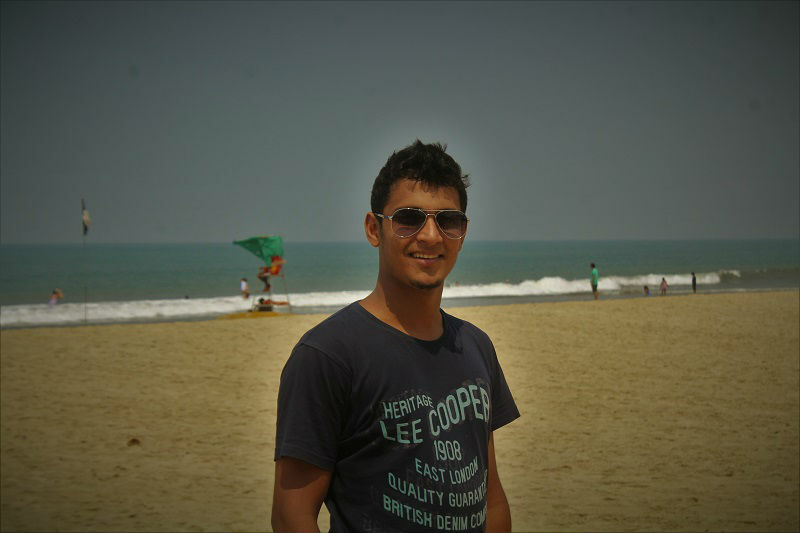 INR 300-500 per day) is one of the best and most economical ways to tour the beach capital on your own. Just grab a two-wheeler by submitting an ID proof and set off to one of the most amazing road trips. Before this trip I had been to Goa three times and believe me I haven’t heard anything about the southern part; so never visited. My brother having a temporary residence in South Goa is what brought me to this part of the country again. Also having brother’s bike added a convenience for me to explore the south parts. From the months of December to March, Goa is full of life. 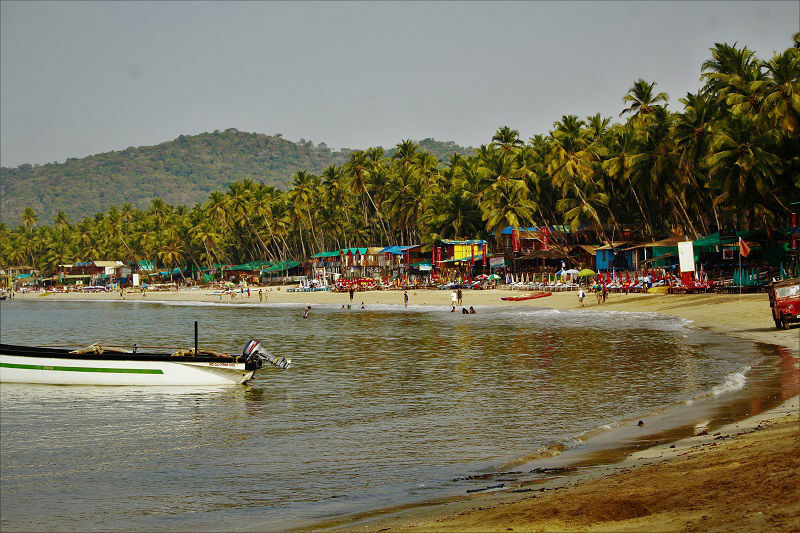 Compared to North Goa, South Goa has just the right mix of people and activity, keeping the chaos to a minimum. Below is the route map of how I traversed across the beaches almost covering all. 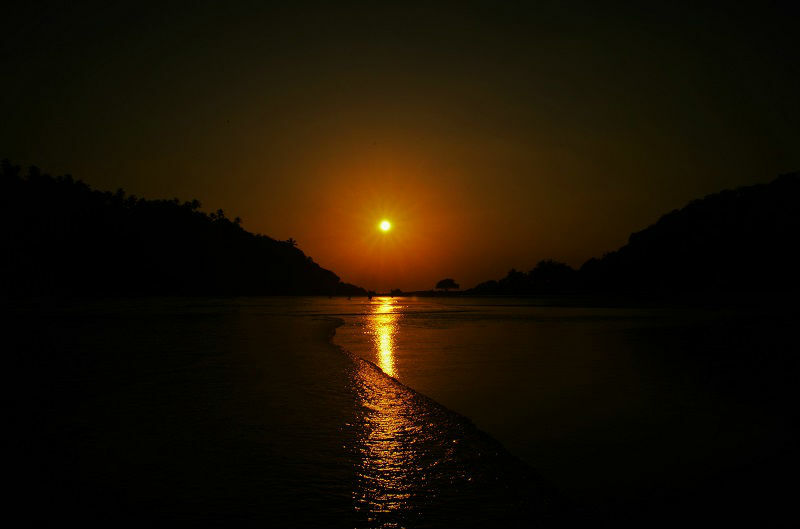 Palolem is definitely one of the most beautiful beaches in all of Goa. It is about 1.5 km and one can see the entire beach from either end. The scene of its absolute white sand facing the blue bay is just incredible. It is safe to take bath as the depth of the sea increases gradually. You can find some outdoor sport like Scuba diving, Canyoning, boat trip to see Dolphins etc. The beach is largely unspoiled till now but it is getting increasingly busier which may change the conditions soon. 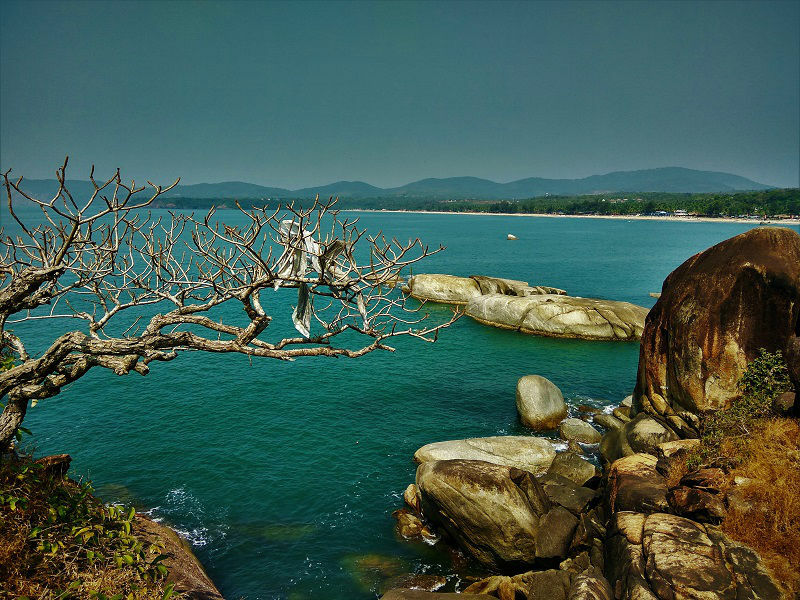 From Palolem, you can also ride along the narrow but beautiful coastal road northwards to visit Agonda beach. Agonda Beach is a center of admiration for all the loners and nature loving people who are looking to spend some peaceful time. With a gorgeous three kilometer stretch, you can have a leisurely walk along the beautiful coast. Sunbathing, relaxing and Yoga are the main activities that you will come across. 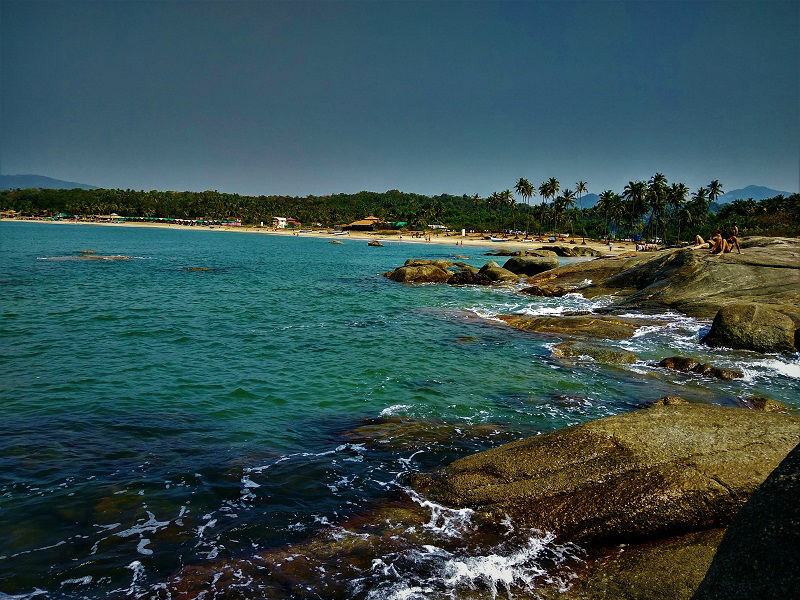 If you are looking to escape from the over – indulgence of nights on other beaches, Agonda is there to welcome you. Certainly, my favorite beach from the dozens I have visited. 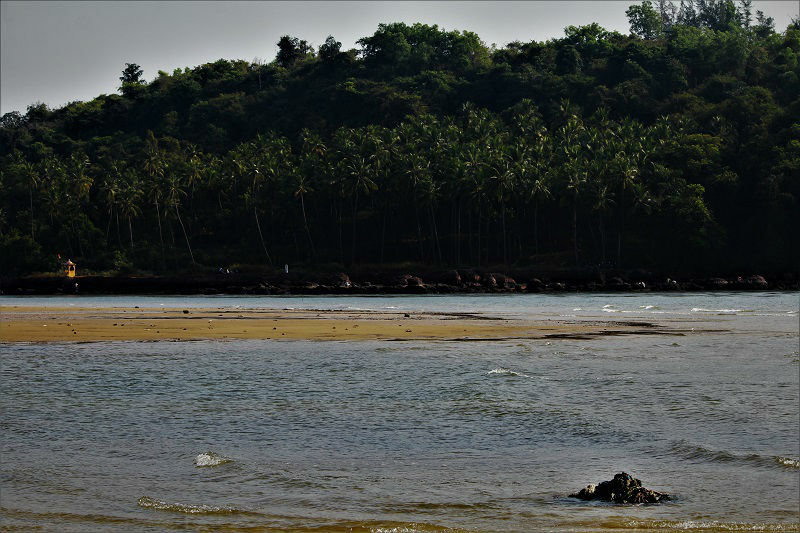 Just about a ten minutes’ drive from Agonda beach, it’s quite an unexplored beach in South Goa. This is one beach which is hard to find and don’t trust Google maps at all. Check for chatai homes which are close to this place or else you have to take a bumpy road. When you catch your first view of the beach from above the palm trees, it makes you speechless; what you are looking down on what most would describe as heaven. What makes Cola beach different from others is the freshwater lagoon on its seashore that is connected to the sea. Local Indian tourist is almost absent from this beach. 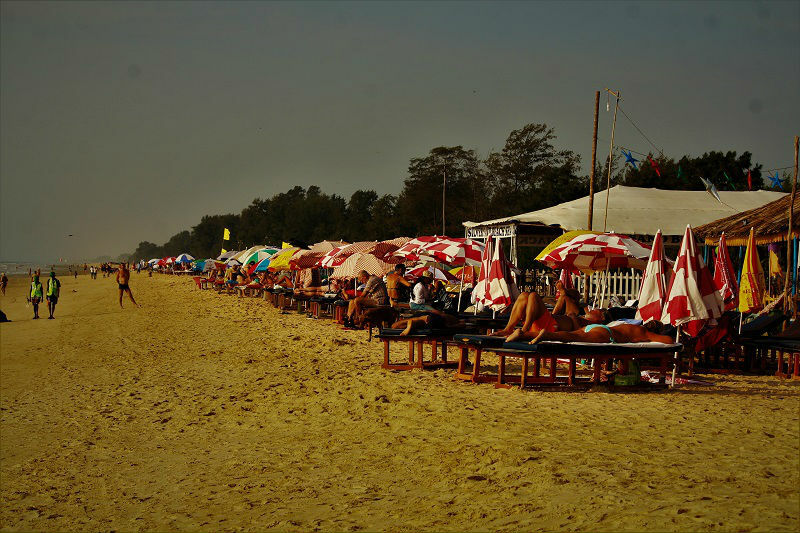 Your trip to South Goa would be incomplete without spending some time at Cola beach. 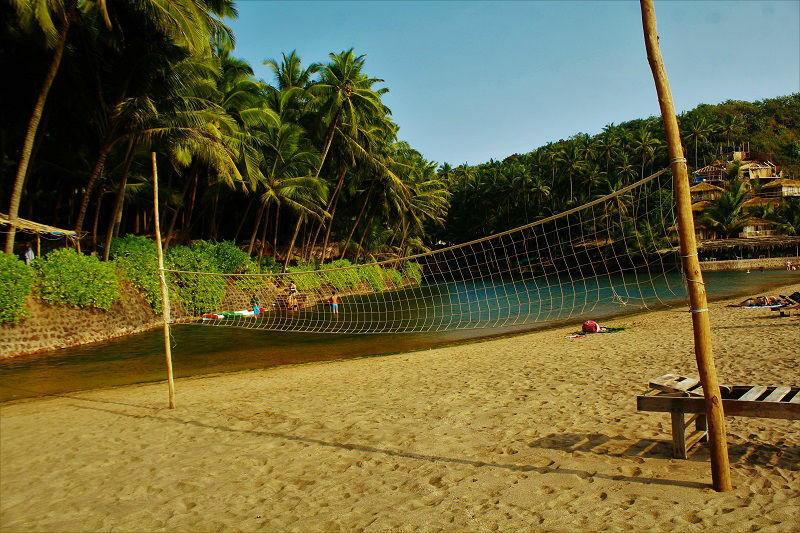 Situated at a distance of twenty km from Agonda beach, Cabo de Rama Beach has a fort to its south. Although the fort is in ruins, it gives spectacular views of Cabo de Rama beach and the Arabian Sea. 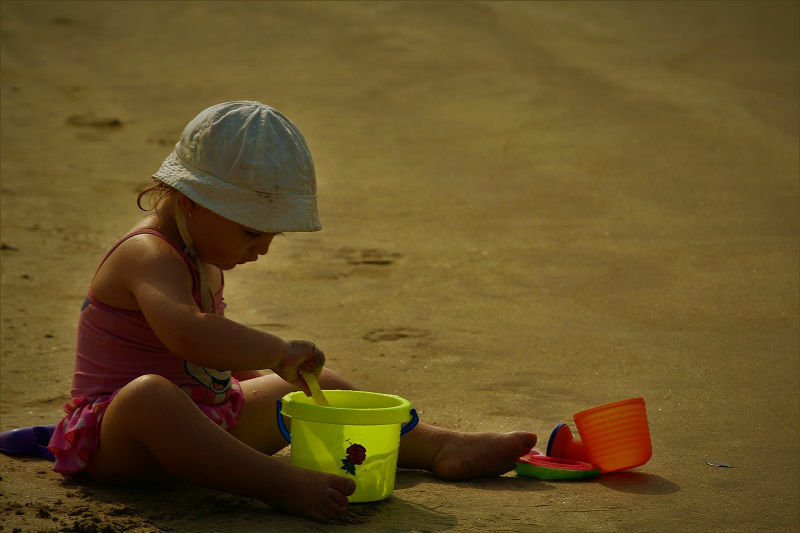 It is relatively safe to swim at the beach but be careful as there are no lifeguards. 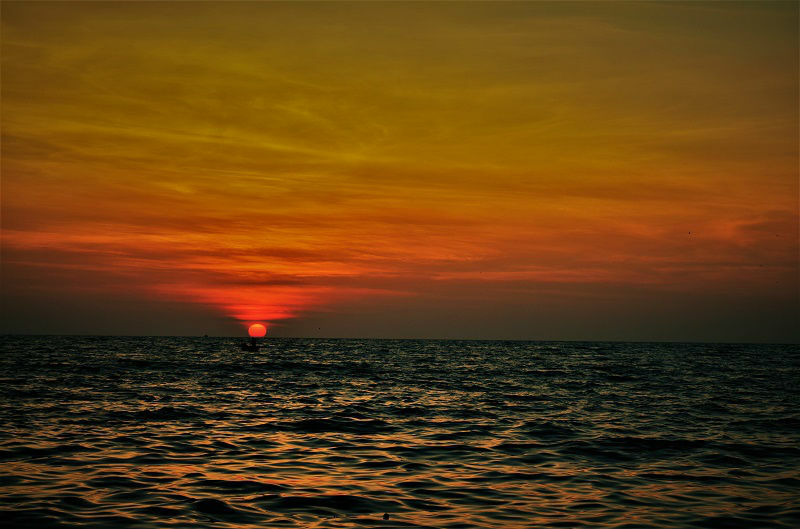 The Betul beach is known as the fishing beach of Goa and is very famous for its cool climate. The beach has a small lagoon and rivulet that flows to the sea. Situated in between the Arabian Sea and the Sal River, the golden color sand at this beach takes your breath away. One of the cleanest beaches I’ve been to for a long time. Being a clean and peaceful beach, it attracts a lot of tourists. Just 5 km from the City of Margao, it is located just in the middle of a continuous 30-kilometer beach strip of the South Goa coastline. 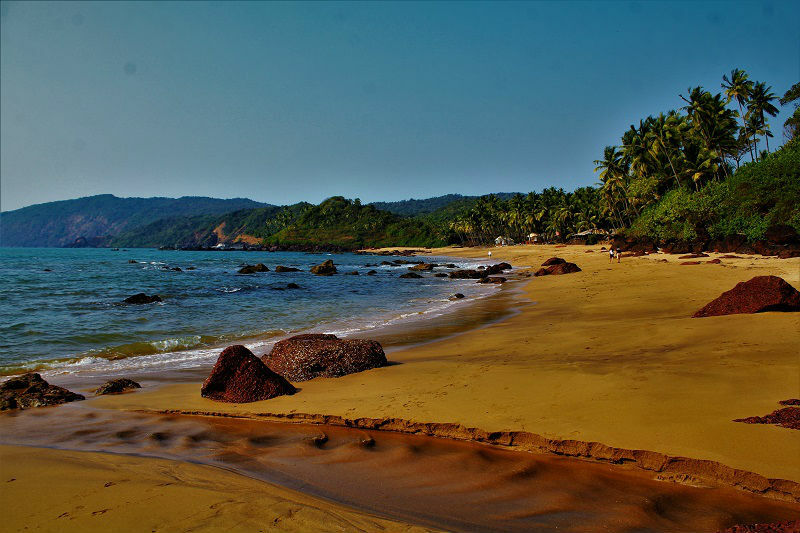 Located 6 km away from the west of Margao, it is one of the largest and the most spectacular beaches of South Goa. Right from sunbathing, water sports to other recreational activities, Colva beach brings plenty of activities for adventure lovers. 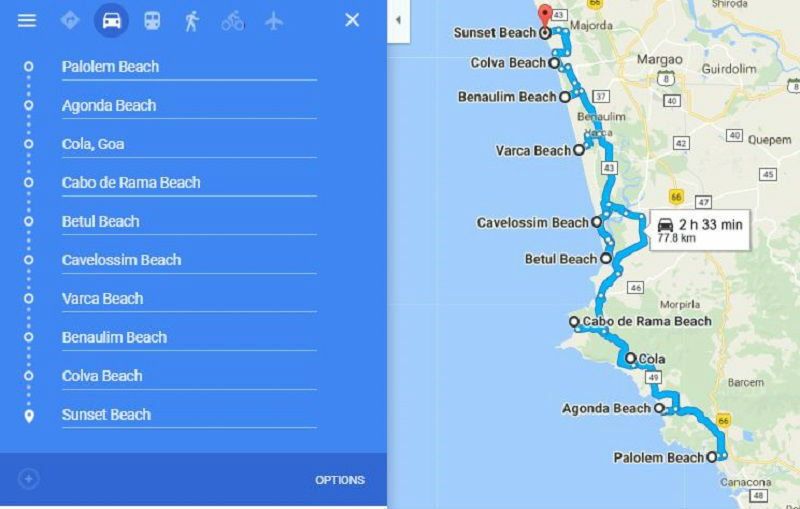 You might be thinking that is Goa all about Beaches? Absolutely not!! From the beaches, if you walk back to the market side, there is a lot on offer for you. Are you bored with beaches? Yes!! 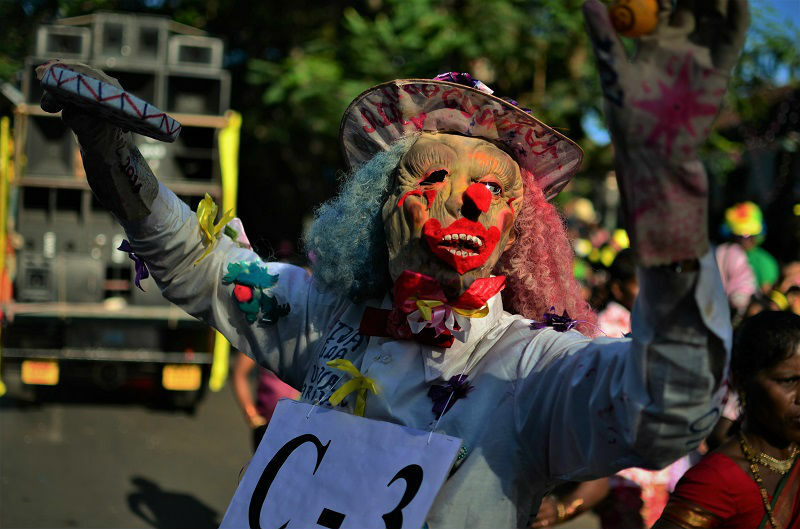 Head for the Goa markets for a bit of color to spice up your life! Margao Market – Margao Market is one of the big market areas in southern part of Goa. A bazaar for those who like carrying the authentic flavors of their travel back home for their loved ones. One can find all sorts of shops here from foodstuffs, liquors, cashews, clothes, branded shops, food outlets. Always remember to bargain and you will surely get a good deal. What to eat in South Goa? Being a vegetarian and not so much of a foodie I have a little knowledge on this. Anyway’s I would recommend a few from the ones I tried. Crush Café – Benaulim Beach Road, Cocktails & Dreams- Palolem, Peppers Gourmet Cuisine- Margao, Furtado’s-Colva are the ones you can try out. River Valley: It has around 15 bamboo huts having shared bathrooms and prices are around 200-400 INR/per night depending on the season. Bridge and Tunnel: Having good clean rooms with attached baths and with decent facilities like bar, restaurant, laundry. Prices may vary from 300-600 INR/per night depending on the season. 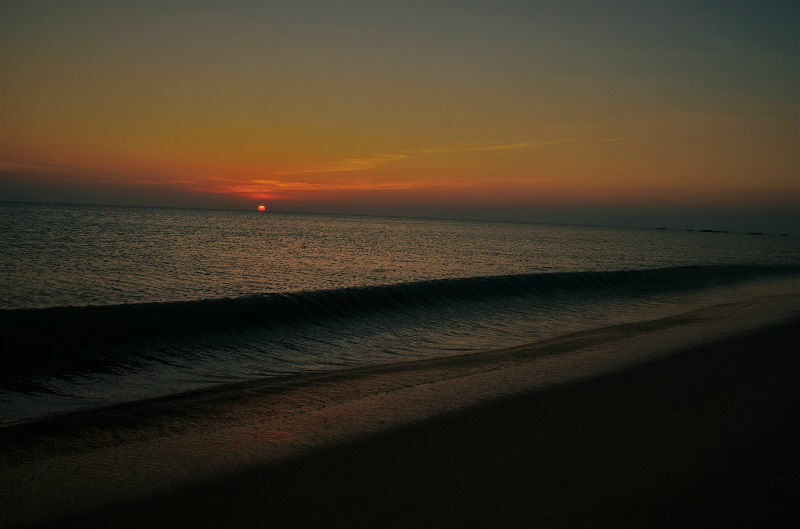 Sea View: It is almost on the beach itself and is one of the great stay options in a range of 300-500 INR/per night. 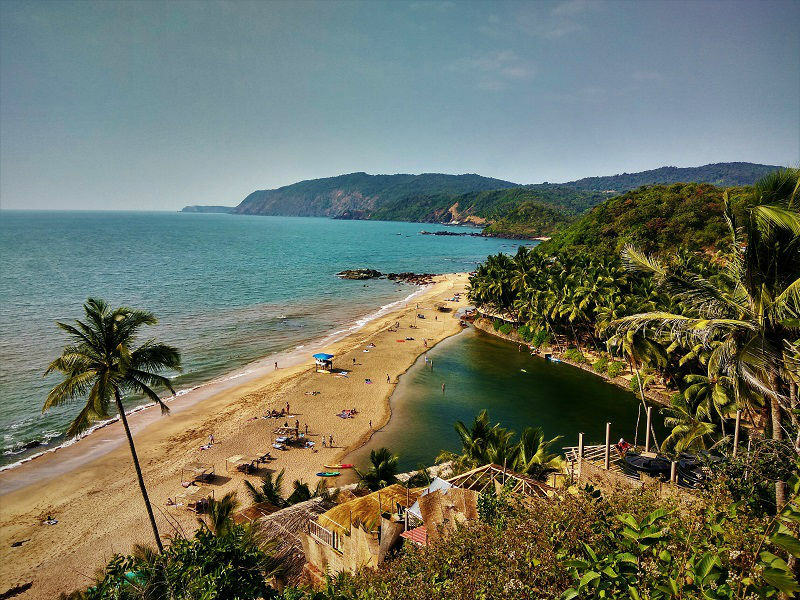 The main tourist season in Goa runs from November to February when the weather is cool but still ideal for swimming, sunbathing, relaxing and enjoying. December is the time when Goa witness’s lakhs of visitors who come to celebrate Christmas and New Year Eve and also the famous music festival –Sunburn. But you can definitely try Goa in monsoons as the paddy fields turn lusciously green. Also, you will find cheap accommodations due to the offseason. 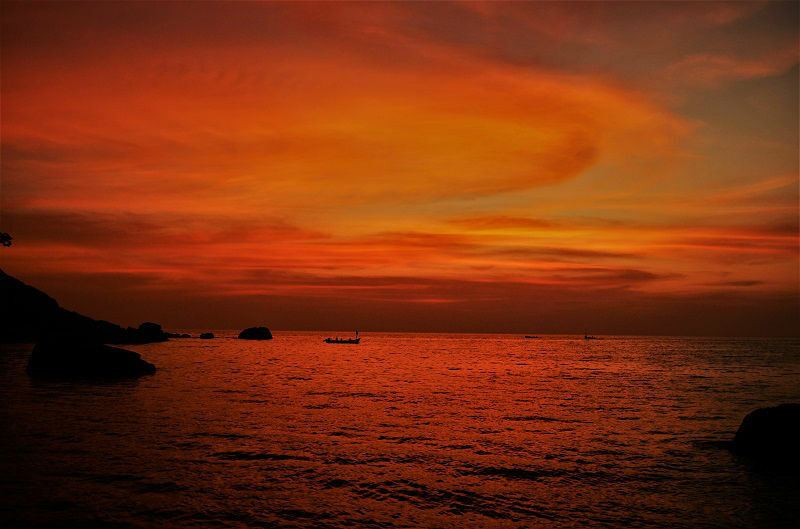 So why for a party junkie like me, South Goa turned out to be more captivating than the south? Maybe age and being in a different stage of life. I am bored with all these party kind of stuff. Now I prefer to relax in quiet and less crowded places, which are filled with more of natural beauty. And South Goa was exactly what I was looking for. With the sun as bright, the sky as clear, the water as clean and the crowd as fewer, why would anyone go anywhere else? South Goa is waiting for you!!! Looking for a one-day trek near Goa, check out my post on Dudhsagar Waterfall trek – One-day adventurous trek near Goa. 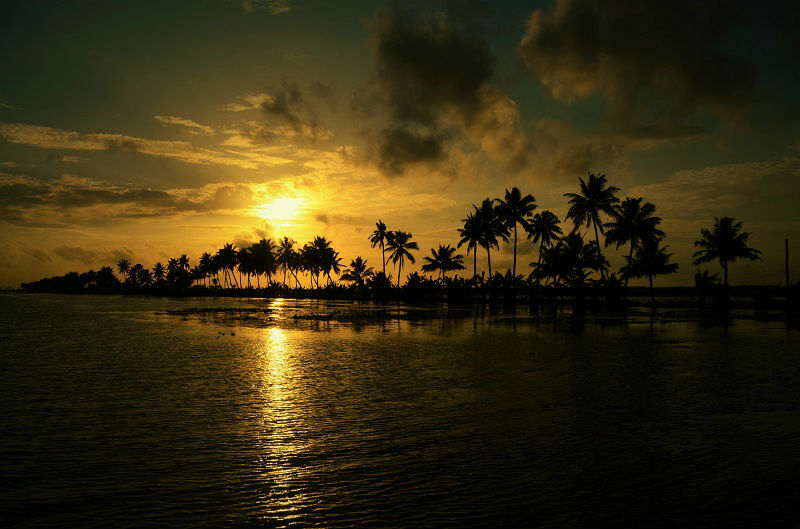 Hope you would have enjoyed reading this article/guide on South Goa. To get regular updates on upcoming blog posts from On a Cheap Trip, please subscribe by entering your name and E-mail address in the Newsletter below. You can follow me on Facebook, Instagram, Pinterest as well as on Twitter. I wanted to know which place/time is best for Dolphin sight seeing? 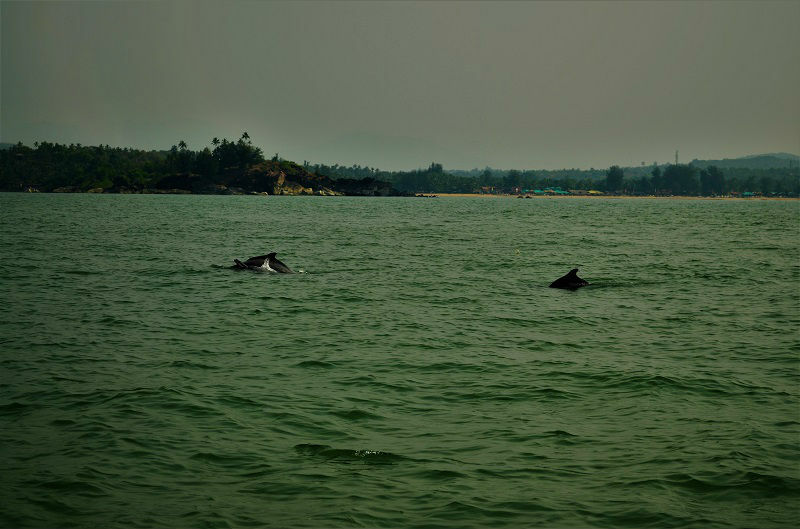 You can check out the dolphin boat rides at Palolem Beach and morning is the best time for your chances to see Dolphins. 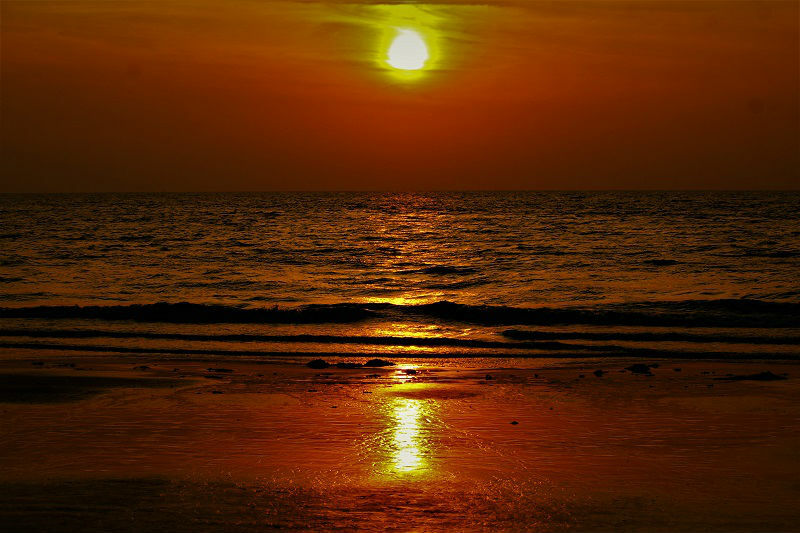 Beautiful pictures of Goa beaches! Very well shared your feeling/experience.